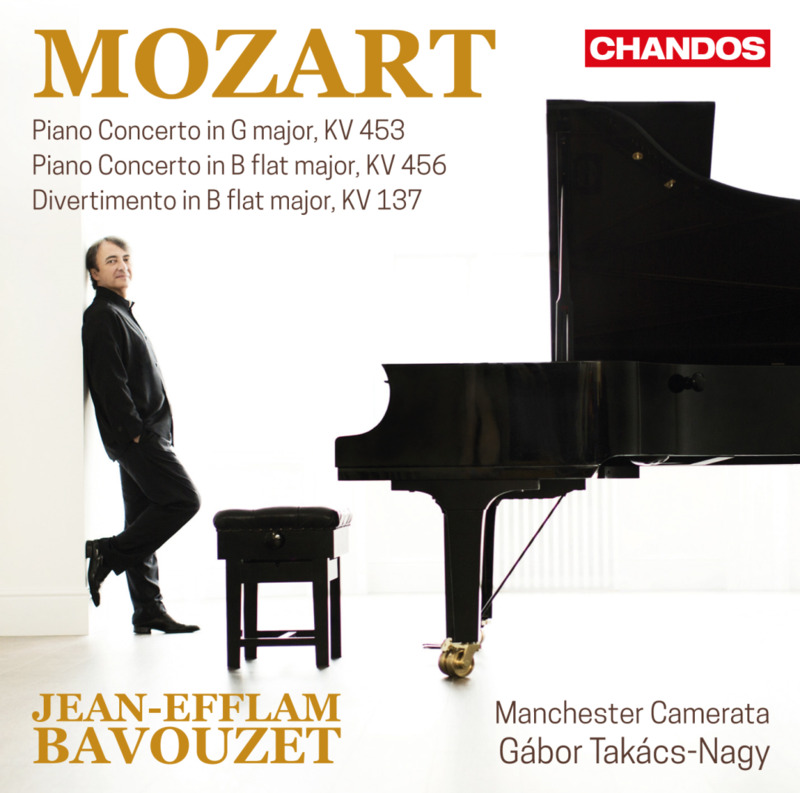 One might be tempted to say that Jean-Efflam Bavouzet is Chandos Records’ ‘house pianist’. He has a long discography to his credit, and the record company has used him for repertoire spanning Beethoven sonatas to Prokoviev concertos. In fact, Bavouzet has even delved into lesser-known late-Romantic works for piano and orchestra by Pierné, and with some style. Here, then, is a gifted artist with secure technique and sound musicality ready for any challenge that comes his way. Bazouzet’s sensitivity conveys an understanding that it can be a tougher musical challenge to pull off one movement of a Mozart piano concerto than performing all five Prokofievs. With Mozart, there’s nowhere to hide: every note is out in the open. Bavouzet casts magic over the orchestra’s background accompaniment with his faultless, seamless execution of passagework and his exquisite phrasing of melodies. The soloist blends harmoniously with the Manchester Camerata, and conductor Gábor Takács-Nagy clearly breathes the same musical lines as the pianist. At no point, though, does Bavouzet try to steal the limelight or play ‘against’ the orchestra. A good example is the fine first movement of the B flat Concerto K456 where the string section particularly phrases with such naturalness that you would think they have all performed this concerto their whole life. Tempi are perfect in the slow movement of K453 and the recorded sound throughout is natural and open. Bavouzet has composed his own cadenzas and written the informative booklet notes; there’s little doubt he has put his heart and soul into this project. The generously filled CD has room for the early Divertimento K137 for strings, and it offers the chance to hear Mozart’s original cadenzas for the first and second movements of K453. With such fine Mozart playing as this, we can only hope Bavouzet and Chandos will give us more.